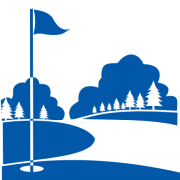 Heritage Oaks Golf Course is a municipal golf course located in Harrisonburg, Virginia. The course consists of five Par 3's, 10 Par 4's and three Par 5's and plays to a maximum distance of 6324 yards with a course rating of 69.3 and a slope of 121 over 18 holes. Three sets of men's tees and a single set of ladies' tees create an enjoyable test of golf for players of all abilities.